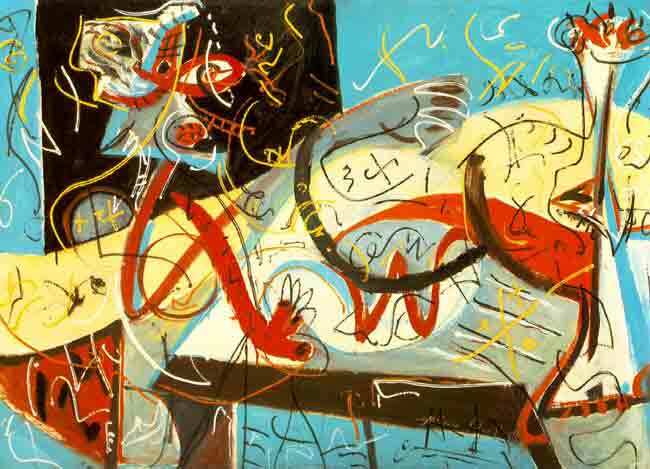 An early painting by Jackson Pollock. It’s known as the “R” word. Florida lawmakers are moving toward erasing the terms “mental retardation” and “mentally retarded” from myriad state laws, as the word “retarded” has become widely viewed as offensive to people with disabilities. “Mental retardation” would be replaced by “intellectual disability,” and “mentally retarded” would be replaced by “intellectually disabled.” As an indication of how references to retardation thread through state laws, the House is considering a 71-page bill to replace the terms — which pop up in everything from criminal laws to health laws. Deborah Linton, executive director of The Arc of Florida, said she has worked for three years to convince lawmakers to eliminate the “R” word and its variations. In the past, Linton’s group was known as the Association for Retarded Citizens. “It was a medical term, and it became an insult,” Linton said Tuesday after the House Health and Human Services Committee voted unanimously to approve the bill (HB 1119). At the other end of the Capitol, the Senate Rules Committee also voted unanimously for the Senate version (SB 142). House sponsor Janet Adkins, R-Fernandina Beach, said 39 states have made similar changes to their laws. A person with an intellectual disability typically has an IQ of 70 to 75 or below, has limits on the ability to carry on everyday life activities and had the disability before age 18, according to The Arc website. But while advocacy groups have made a priority of changing the terms, two speakers with intellectual disabilities told the House committee Tuesday that they are still hurt by getting called retarded. Members of the committee praised the measure. “Sometimes the most simple of bills can be the most monumental,” said Rep. Mark Pafford, D-West Palm Beach. As the mother of a daughter with Rett Syndrome, the most severe form of Autism, I am very gratful to have the “R” word removed from the law, but it should also be removed from our vocabulary. It is hurtful to hear it. I realize that it is a medical term, but it has been widely misused and indicates something negative. My daughter is anything but negative. She holds the joy of a child, the smile worthy of a picture and the spirit of an Angel! Standing “o” for the legislature from this mom of a special needs child! It’s about time! IQ lower then 75…..Well, I suppose we will have to call most of the progessive left politicians, ” Mentally Disabled “. You know ole’ VP Joe might not qualify at that high level. What’s the word we use for someone with an IQ lower then -20 ? Oh yea…..” The Un-Dead ” !!! This is long overdue. It is an insult using the “r” word referring to a human being. My son is a special needs child who is developmentally delayed. He is pretty bright, but not at his age level. Happy to see that word replaced. As you know Jackson Pollock has has his dark years but as an artist he often brought the issue in his art to the forefront of public opinion. Retarded is crude and rude as a term. Even Mentally disabled sounds wrong. One can still use the term Retarded and not be mean while useing it. People need to be more tolorent of others and not be “OFENDED” at others for their words that where or are not meant to be crule. I do agree with this one even though it reeks of political correctness. The fact is even I am guilty of saying by accident, using it as a pejorative. It also makes the deliverer of the word really seem intellectually weak. God Bless these sweet and innocent people with mental issues through no fault of their own. I would even hope that more special ed classes are funded to better help these children and their parents. Wouldn’t “intellectually disabled” also apply to the liberal goofballs who dream of a utopian society full of unicorns and rainbows? Does this mean we can’t say “libtards” anymore as well? Now if we could just get them excised from the state House and Senate.